Have you recently been involved in a personal injury and the pain just will not seem to go away? Personal injuries happen in a wide variety of ways. Whether you were personally injured in an automobile accident, injured on the job or even on the athletic field, it’s important to take your personal injury seriously. No one else is going to make the decision that you need to be seen by a medical professional for you. When making this decision, just remember that you have a lot of life ahead of you, and you probably don’t want to spend the majority of your future dealing with the pain from this personal injury. So, if you are in the St. Paul, Minnesota area and are looking for a reputable personal injury rehab facility, look no further than Caron Chiropractic Clinic, P.A. Our bodies are miraculous in a variety of ways. However, that doesn’t mean that it will heal from a personal injury on its own every time you get injured. At Caron Chiropractic Clinic, P.A., you can count on us to provide you with an honest evaluation that lays out the personal injury that you’re dealing with. Even if the symptoms from your personal injury are minor, it is still a good idea to seek an evaluation from our holistic medical staff. At Caron Chiropractic Clinic, P.A., you can count on our personal injury experts to provide you with a personalized natural treatment plan focused on holistic treatment options that will help your body heal and strengthen on its own. While we could just as easily recommend pain medication like so many other medical professionals do, we don’t believe that this is the best treatment plan for our patients. 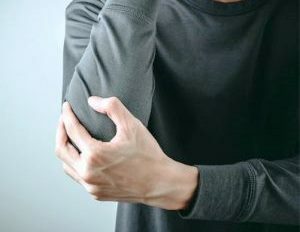 The reason being is that pain medication only provides temporary relief from your personal injury and it doesn’t do anything to help your body truly recover. Our holistic treatment options, such as chiropractic care, massage therapy, acupuncture, laser therapy, etc. will get you back to full strength quicker than you can imagine. The first step to recovering from your personal injury is to make the decision that a thorough medical evaluation is something that you need. 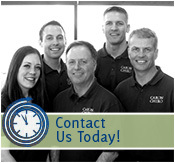 From there, our team at Caron Chiropractic Clinic, P.A., can handle the rest for you! If you are in the St. Paul, MN area, give our personal injury rehab center a call today at (651) 255-9999 to schedule your personalized medical evaluation. Our natural treatment options will have you back to full health so that you can enjoy your future! This entry was posted	on Tuesday, March 12th, 2019 at 1:50 pm	and is filed under Pain Relief, Personal Injury. You can follow any responses to this entry through the RSS 2.0 feed. You can leave a response, or trackback from your own site.